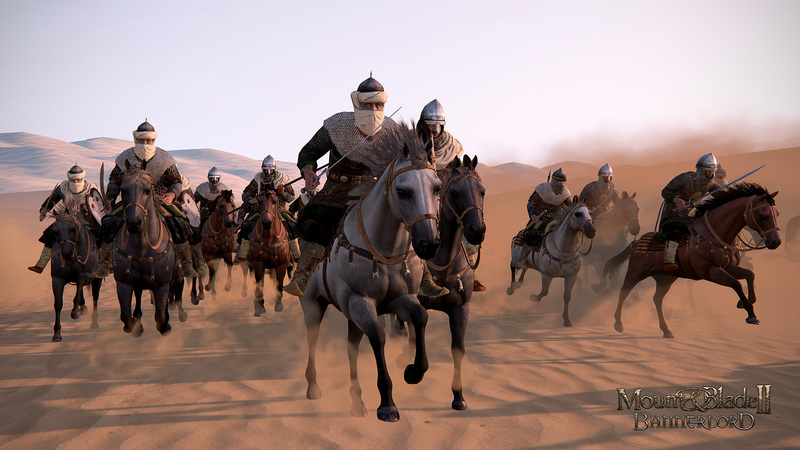 The latest Mount & Blade II: Bannerlord dev blog goes into the Aserai, the ruling tribe in the game’s southern deserts, based on the Arab tribes of the seventh century. While spoken of as one people, they’re made up of a many smaller tribes, each vying for power. It’s a deep look at a people you’re going to have to deal with often in the forthcoming game. For all the details, check out our Mount & Blade II: Bannerlord release guide. While serving the empire, the Aserai have also banded together and formed a confederacy, one that could push north, out of the desert. 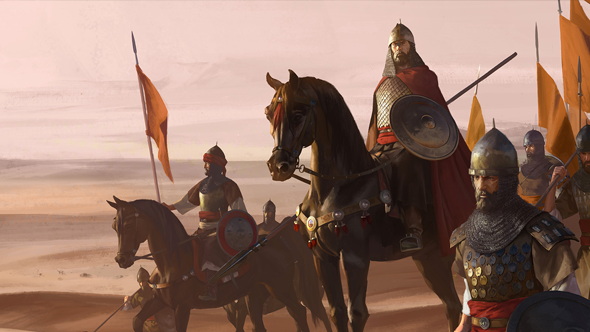 The inspiration for the people are “the Arab tribes just before the great Islamic conquests of the seventh century, which created a diverse tri-continental caliphate whose scale and institutions don’t really fit Bannerlord’s political system.” Taleworlds are going to make use of the events system to create the backstory of allies and enemies within the factions, making it a challenge for anyone to bring them together with so much danger of stepping into a bitter feud. The tribes will use horses, but they won’t make up the bulk of the army’s forces. There’s a tonne more about the Aserai in the developer blog and it’s well worth a read if you want to know what more to expect from the southern people.